Iran stages war games involving newly developed rapid redeployment units. 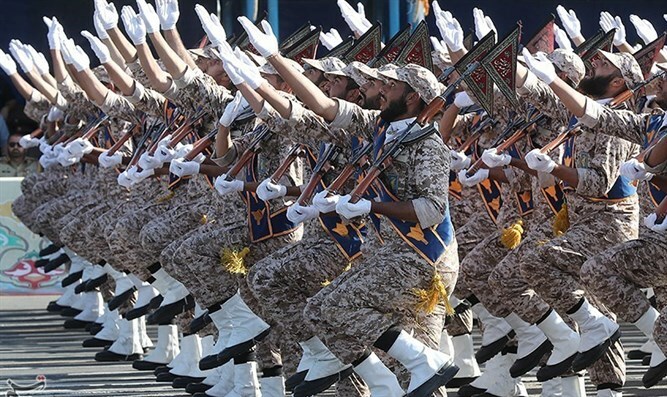 Iran on Friday staged war games involving newly developed rapid redeployment units focused on fighting enemy aggressors and armed militants, Reuters reported, citing state media. Around 12,000 elite troops, armored vehicles, fighter jets and drones were taking part in the two-day exercises, staged in the central province of Isfahan, state television said. Deployed by transport planes and 60 helicopters, commandos hunted mock armed militants, while an armored battalion blocked “enemy” forces trying to retreat, state media said. “In these war-games we will showcase two important developments: a special-forces rapid deployment battalion and a highly mobile offensive armored battalion,” said General Kioumars Heydari, head of the regular army’s ground forces, according to Reuters. Heydari boasted that the war games would delight Iran’s friends and show any aggressors that they would face a “rapid and crushing blow” by the Iranian army. Tensions have risen in recent months after US President Donald Trump pulled out of the nuclear deal in May of 2018 and imposed two rounds of sanctions against the Islamic Republic. Iran holds military exercises several times a year to demonstrate its readiness to respond to any foreign aggression. However, while the Islamic Republic regularly boasts of its military achievements it does not always provide proof of its accomplishments. In June of 2018, a senior Iranian military official said that the country’s Bavar 373 air defense system will be put into action “in the near future”, adding Iran has made great progress in designing and developing air defense systems. In 2017, Iran’s Defense Minister claimed the country had developed a tank named "Karrar", which is supposedly equipped with an electro-optical fire control system and laser range-finder and is capable of firing at both stable and mobile targets day or night. Iran also regularly threatens to close the Strait of Hormuz, the passageway for nearly a third of all oil traded by sea.